The rules of the search engines are fluid and constantly changing. But there’s one golden guideline that has been true for a long time and will remain true for a long time to come: if you want people to see your content on SERP, you HAVE to think about SEO! Search Engine Optimization (SEO) is what separates the fastest growing internet media companies like Forbes from your cousin’s blog that no one reads. And as an owner of a niche site, you should be extremely concerned with updated SEO parameters and metrics. 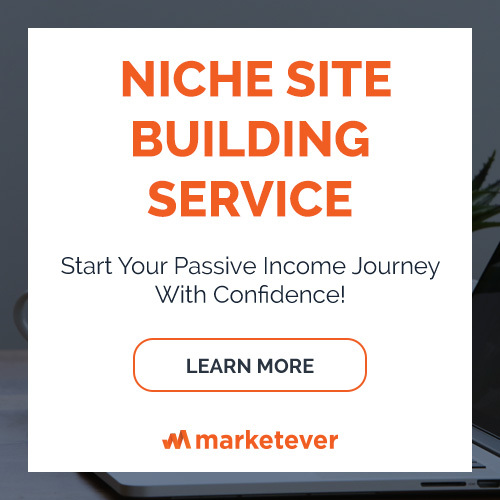 Otherwise, you will end up niche site building losing your investment. How well your site scores on different search engine result pages will determine in a big way how profitable your niche site is. Google Ranking factors can be split up into two separate categories; On-Page SEO & Off-Page SEO. On-Page SEO refers to tasks that you can do yourself on your website, such as optimized page titles, internal linking to other post of your site, unique meta tags containing your keyword & eye catching meta descriptions with keyword, etc. On the other hand, Off-Page SEO refers to tasks that you can do is done on other HIGH Quality websites to give Google a strong signal about your site quality. Web 2.0 Link building, high quality guest posting, forum and blog marketing or any other link building activities fall under this category. How important On-Page SEO is comparing to the Off-Page SEO activities? With all the factors in mind, I maintain several on-page optimization consider for all niche site posts. I now will be sharing my On Page SEO Guide so that you can follow to get your niche site success. All of the other tips you will read in this post, and almost all of the information you will find on the web, are tricks aimed at convincing Google and other search engines that what you are posting is high quality content. But instead of thinking about how you can trick Google, the best way to ensure that your content is viewed as high quality is to genuinely put quality first when authoring content. Just what ‘quality’ means from Google’s point of view can be somewhat elusive. But a common sense definition is useful as well. Your content should be aimed at providing value to readers. Keep that simple principle in mind, and SEO comes a lot more naturally. In fact, Google now has specific guideline on quality content that every niche site builders should follow. Two of the biggest metrics that determine how well your posts do in search engine results lists are how long people spend reading your content (“dwell”) and how much they interact with your pages. By embedding media rich elements like videos and pictures in your content, you will help your posts do better on both of these fronts. Site visitors will spend more time on your pages when they interact with media elements. Plus, videos and pictures make your content look and feel more professional and high quality. Plain text posts can have their place, but most casual visitors won’t have the attention span to dwell on pure text pages for long. So spice it up with media elements, and your readers and SEO ranking will both thank you. While common sense might lead you to believe that lots of short posts will do better than fewer long ones, from a SEO perspective nothing could be further from the truth. Google and other search engines place more inherent value on posts that are long and fleshed out. What that means for you is that every time you write content for your niche site, you should think of ways to make it long form. As a rule of thumb, landing pages that are over 1000 words do well, and all of your original niche specific content should be at least in the 1500 word range. For Niche Site contents, I maintain at least 700 word for review articles, 1500 word for product list long tail keyword (eg. Best Road Bikes Under $500) articles and 1500 word for resources article. For me, this works great! One of the oldest ways that Google and other search engines determine if your site is an authority to trust is by scanning your outbound links, and the content you link to is as important as ever. Linking to articles and content from respected resources will make your posts look well researched and authoritative from an SEO perspective. Plus, you will add a lot of value for your readers. When deciding what links to incorporate into your content, just ask yourself if following any given outbound link will help your readers, or the information you are providing needs any further reference. If the answer is yes, go ahead and link liberally. In general, shoot for at least 2-3 outbound links per post, and feel free to incorporate a lot more as long as they are all high quality and cited naturally. Don’t link to your competitors, better to link high quality sites talking about something related to the product, or technology or brand. short, I give backlink to Wikipedia or these kind of content sites], 2 outbound links for product list long tail keyword contents and 3-4 outbound links for resources or epic contents. If you want your content to target keywords effectively, you need to keep two things in mind. First, keywords should appear early in your content. Ideally, the keywords you are targeting directly should appear within the first 100 words of your posts. They can and should appear in your titles as well, but keep in mind that putting keywords in your post titles alone isn’t good enough. The more you can do to help Google figure out what your page is about, the better. Second, you need to incorporate keywords NATURALLY. If your keyword placement is extremely frequent [high keyword density], or opens every one of your paragraphs, visitors will be turned off of your site, plain and simple. Plus, Google is good at figuring out when you are using keywords naturally versus when you are spamming them for attempted SEO boosts. Matt Cutts think one of the five major mistakes webmasters do is not putting the keywords on content naturally. Your permalink URLs are often the first introduction that new visitors have to your site, so they should be something you think about regardless of their SEO impact. From an SEO standpoint though, short and keyword heavy URLs will help your pages rank higher. If you are posting content with a long title (which can be a good idea, see the next tip) then you should be extra mindful of shortening your URLs to be more search engine and reader friendly. You can easily change and set your permalink as you want from your WordPress Dashboard while publishing any content. Google’s Matt Cutts confirmed keyword in title adds value to your search ranking, and we can’t ignore a factor that’s officially confirmed by Google, right? On the one hand, the titles of your posts should be direct and convey exactly what your content is about. But on the other, adding strategic modifiers can help you rank for more keywords and land more visitors to your pages. For an example of how to use this trick, pretend you’ve written the ultimate guide about the right camping gear for California for your niche site. But if you modify your title with an SEO friendly phrase and come up with something like “The Best Camping Gear for California Springs, Winters, Falls, and Summers” you will attract a lot more visitors looking for those specific results. Don’t go overboard, but DO modify your titles to make them land more hits and ranking for more keywords. Google always want to show the most relevant, valuable and unique data to users. Measuring search CTR is one of the ways Google using to determine which result to show in top for a particular search query. Top ranking requires more search CTR, and to get more click from search page, you need to be a good copywriter. You need to develop great copy that make people click on your link reading 1-2 sentences. Internet marketers used to trick Google implementing various tricks to get more click. But nothing survived for long. Did you notice I said this is future proof? Have you ever noticed Wikipedia enables users to Jump To any paragraph by adding ‘Table of Contents’? They are doing this from beginning. And the site is ranked #1 for millions of keywords. Years after years. There are lot of reasons Google love it. It helps users to navigate to specific section easily, or people can directly jump to the particular section they want to read. Want to add similar feature on your site? It takes on 1 minute! 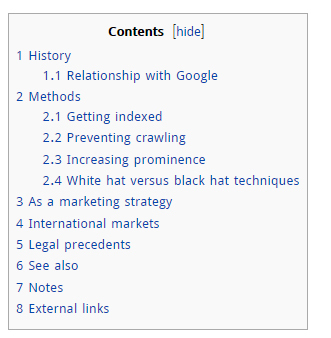 You can easily do Wikipedia style ‘Table of Contents’ by installing Table of Contents Plus. I mentioned above how important it is from an SEO standpoint that visitors to your site spend time on your pages and interact with your content, but they won’t be likely to do either of those things if it takes forever for your posts to load. Plus, Google has noted that load speeds have a direct effect on SEO rankings. In order to boost your load times, look for plugins to help you out. Most importantly, invest in decent hosting for your web pages, as nothing has a bigger effect on your page load times than the quality of your web hosting. I use W3 Total Cache plugin that help my skyrocketing my page speed. While there is a lot of debate about just how much social media shares and signals have an impact on any page’s SEO rankings, one thing is for certain. Social media shares are getting more and more important. While there isn’t necessarily a direct impact on SEO, social media shares will lead to more people spending more time on your pages, which does pay huge SEO value. To make your content more “shareable,” be sure to include social media share buttons in all of your posts. And be sure that your post titles and URLs are catchy and direct, to ensure that once things are shared on social media, those shares lead to clicks and bump your SEO ranking in a meaningful way. I use Floating Social share plugin to add social share buttons to my niche sites. One of the most important and most overlooked SEO metrics is a page’s “freshness,” a term commonly used in two ways. “Fresh content” often refers to anything new you post to your site, but keeping your existing content “fresh” is important as well. If you have topical posts on your site that should be updated, UPDATE THEM. Google will reward you for keeping content relevant, and your site visitors will see that you are devoted to keeping your posts cutting edge. To keep contents updated on a regular basis, I schedule contents from WordPress dashboard (that eventually save my time and help me getting real passive income!). Once I’m ranked, I post only 1/2 content per site per month. I take content publishing decision based on the site’s performance on search and Amazon earning. Google can’t read image, and they asked users to help them reading images by providing image alt text. ALT tags are very important and helps getting your images ranks on Google search. For all of my niche site post, I try to put the main keyword as ALT tag on image where relevant. That is fairly old school, but it still works. This not only help you getting your image ranked, it also help your post to rank on Google. Yoast SEO plugin consider this as one of the major On-Page SEO considerations. You can add ALT tag while uploading a new image. WordPress Media upload makes the process easier. Just type the alt text once you’ve uploaded the image. Brian Dean from Backlinko thinks keyword in H2 and H3 is not a big deal to Google ranking. However, there are dozens of resources online that published keyword in H2 and H3 helped them getting ranked in Google. So far to my experience, it helps a lot, and we shouldn’t ignore it completely. For most of my niche site post, I always put my main keyword at least on H2, and on H3 if comes naturally. As you can see from the tips above, there are a lot of small things you can do to boost the SEO ranking of your posts. I use the same On Page SEO guide for all of my niche sites, and I get a great impact on SERP. 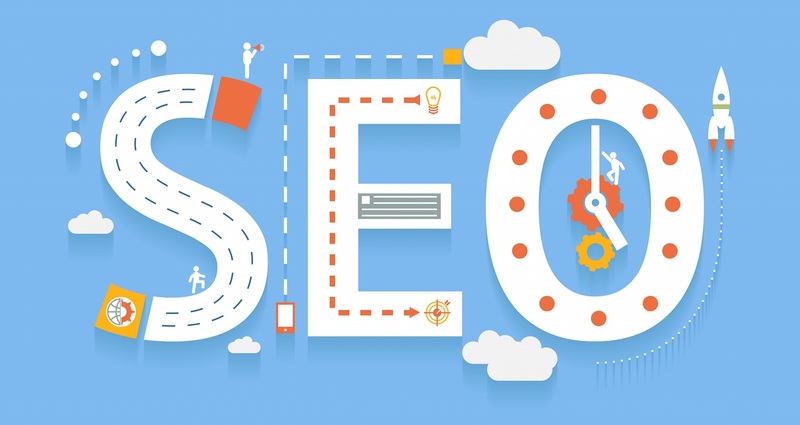 The last and final line is, If you want your pages to truly connect with your visitors and do well on search engines as a result, they will need to be skillfully constructed and well written. This article contains rich information’s. Thanks for writing in such type of article. I want to know what is link juice and its effect. Thanks for sharing such insightful article. Though it seems Google ranks the posts which are long articles but I think how long the post could be depending on the topics. Am I right? One thing, how did you link within the same article i.e. when I click on “Wrap up” from the table of content it directs me to the wrap up section of this article? You are absolutely right, Parvez. Whenever you write a long form of content, Google assume the content to be detailed and helpful for readers. This way, it gets better rank than its’ competitors. I use Table of Content Plus plugin to add table of content on my site. Brother, thanks for your informative articles. where should we use h1 tag? Very helpful article. I got a very clear idea about On page seo. Thanks Al Amin kabir for your great efforts. Hi, i’ve just came from NeilPatel’s , awesome post i would say. Would be happy if you can share on Linkbuilding techniques . Thanks . 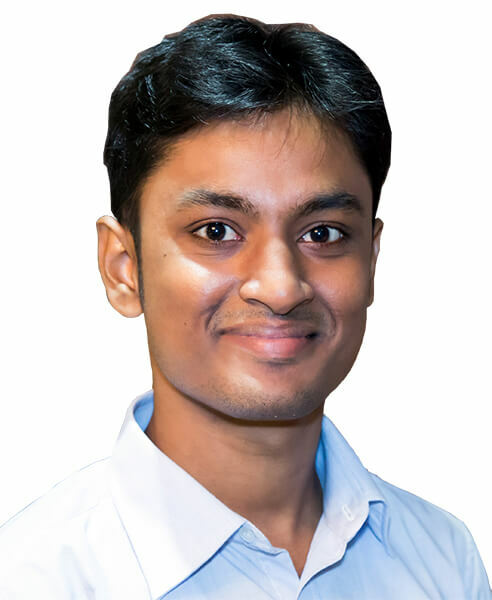 Hi Kabir, first or all I would like to say thanks to your for sharing such a wonderful and in-depth post about on page seo. Secondly, this is my first visit on your blog and I got your blog’s link from his post. Your post is inspiring for all bloggers. Trust me. A good refresher on on-page SEO, nice post ! I would also add “Decrease bounce rate”, do anything you can to keep users from hitting the back button, website design; relevant content and an exit pop up plugin with related posts can help with that. As well, content “readability” score, such as flesch reading ease score is a factor, if your content is too hard to read it won’t be favored by search engines. In my leisure time use to read gossip book now I read your blog, very sample word and informative too. 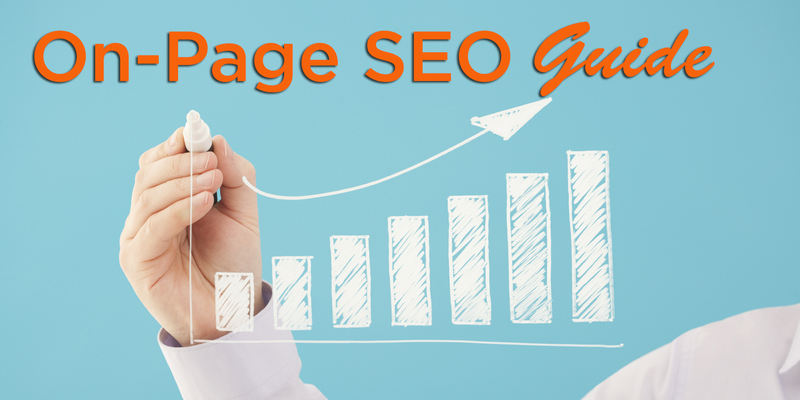 Awesome blog post, you have shared everything related to on page seo. Really appreciate your efforts, Kabir. Awesome post you shared here. I’m a regular reader of your blog. Let me clear one confusion. Is it necessary to use the table of content for a niche site? Actually, I don’t see anybody to use it on a niche site. In fact, my knowledge is limited. It’s very usefeul for me to upgrade my knowladge about seo.. I’d like to try on my web.. Thanks.. I agree with you. this share is very useful for this site visitors.. Awesome tips. Its really very informative. However, I am currently focusing on creating quality content and think this article will really help me to create a SEO friendly content. What a nice article.. I think that it will be useful for averyone who visit this site..
Another great article Al-Amin. Mentioning keyword in title and url is huge! It’s one aspect of seo that see if often over-looked or ignored. Most people just try and keyword stuff their post without thinking of density or the other parts to seo. How can I drive more traffic for my Event Niece Website ? Is there any bad impact if i change my site permalink after indexing in google? Hello Al-Amin, Great article I really liked the way you taught us a really nice guide about On Page SEO. I like your blog and your content as its very valuable so thanks a lot for these great SEO tips and keep up the good work! I want to know that what are the major ranking factors for out site? most of the people now say backlinks are not working anymore like they works before. So what other thing we can do exept backlinks and On-Page to rank our site? Awesome post you shared. I really liked the way you taught us about On Page SEO. I know On Page is a technical work which needs to be done on the website very smartly. I am also doing ON Page for one website currently and therefore your article will really help me to create good On Page SEO.